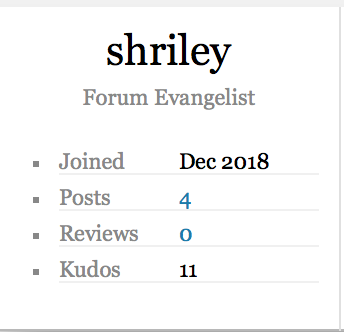 Does shriley the newly appointed Forum Evangelist really exist at FT staff? Shriley is our staff and will help us post Company announcements, such as system update, shipping methods changes, holiday notice, etc. I will focus on Customer service to help our customers to solve problem. Thank you. Then I would be accused of photoshopping the ticket reply if it didnt go in favour of some here..This way we receive a cut and dry answer. Unless you dont wish to? None of this really exists except in your mind, dear. Time to wake up now. "Dementia awareness must not turn into dementia paranoia". It's very important to multi-banned Shelagh to find out if someone is watching her so she can know if she needs to pretend to be friendly or not. Will there be hell to pay if a new member doesn't meet her strict criteria for membership? She'll run them off like everyone else if they don't bow to her authoritah.